The Redalp is North-Korean tech, not Swiss ! Troy Lee better watch out too... the dude on the right is modeling their 2013 all-mountain helmet line. Didn't little Kim go to school in Switzerland? Now states going to attack for sure!this is the evidence of weapon of mass destruction! It doesn't have any weapons on it... is it still in testing? It's more of a psychological weapon. 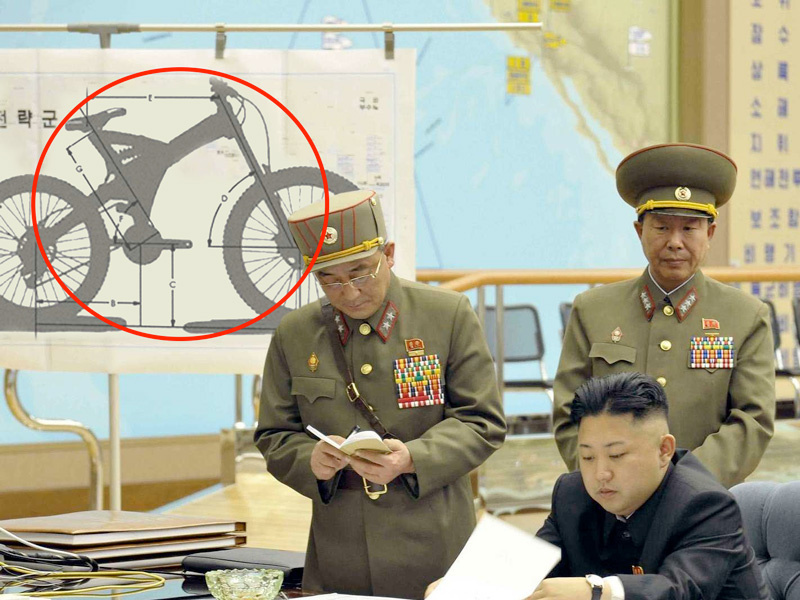 But what everyone ignores is that the guy who designed the frame behind is the same guy who did KJU's haircut!